Set amidst lush tropical gardens bordering turquoise ocean, Varadero resorts boast some of the most beautiful and extensive pools in the Caribbean. With nonstop activities and entertainment, it's no wonder that many visitors never leave their hotel and spa complex. That's a pity as there's a convenient double-decker hop on/hop off bus running from the bustling downtown markets to the pristine Reserva Ecológica Varahicaco on the eastern tip of the narrow Hicacos Peninsula. 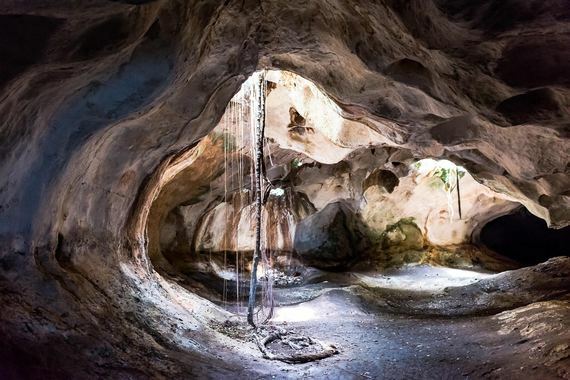 Here are six family-friendly attractions in Varadero worth leaving idyllic all-inclusives for. 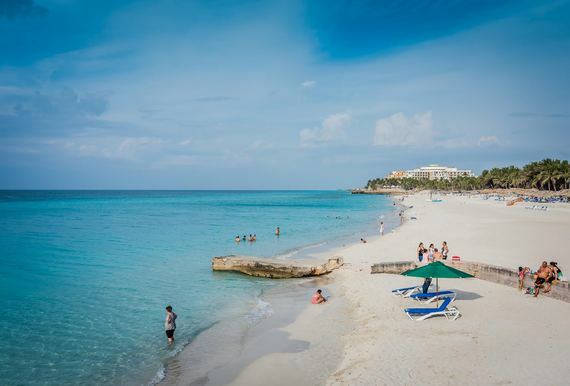 Clear as an aquatic pool and stretching for twelve miles along the Atlantic coast, Varadero Beach is the resort town's ultimate family-friendly attraction. Sand as soft and white as talcum powder is a delight for delicate bare feet, and even during high season, you can find empty stretches between the umbrella-dotted bits at the resorts. Since most of Varadero's accommodations are either on or near the beach, it's easy to time your visits before and after the sun is at its fiercest. And do return for Nature's best show--the magnificently florid sunset. Families traveling with children who are good swimmers can opt for an excursion to Coral Beach, the only spot near Varadero that is interesting to explore underwater. Because entry requires you to pass through surf conditions in shallow reefs, it is advisable to snorkel with a guide. 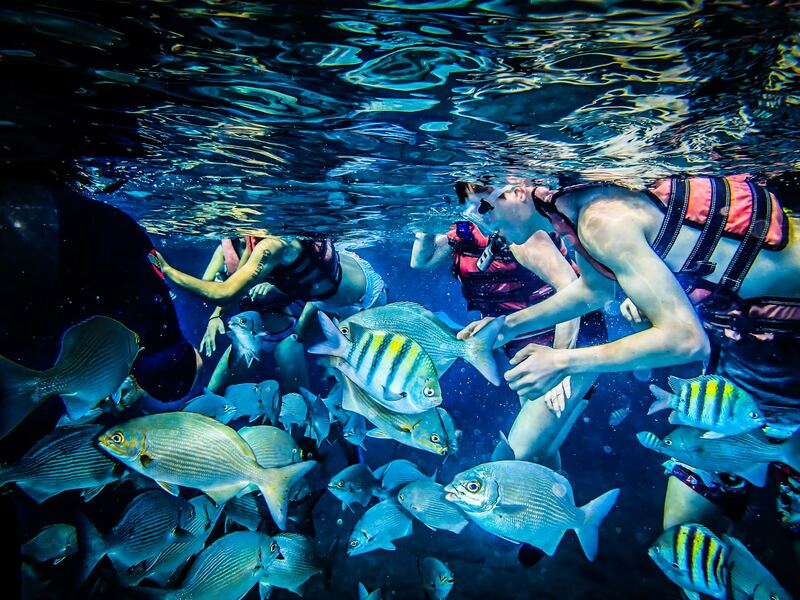 But the reward is that a short swim brings you to huge coral formations that are home to a colorful assortment of native fish. And if you happen to bring a plastic bottle filled with bread--some guides carry this, as well as underwater cameras--you will be surrounded. 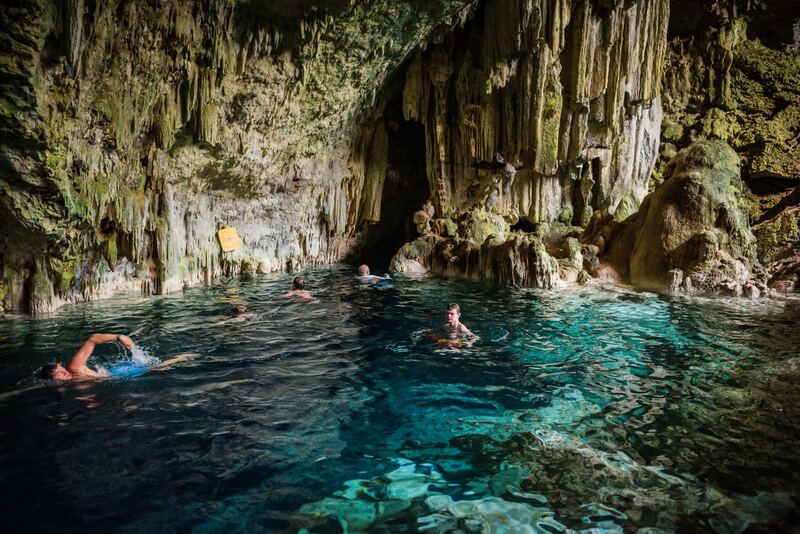 Most excursions to Coral Beach include a visit to nearby Saturno Cave, site of a paradisiacal blue cenote. Time your visit after swimming in the ocean so that you can rinse off with a dip in the spring-fed fresh water pool. It is deep; however, and best for kiddos who can swim well (tip - bring a snug personal flotation device for youngsters.) A snack bar at the entrance offers refreshments and rest rooms, providing a welcome kid-friendly pit stop before the 30-45-minute drive back to Varadero's resorts. 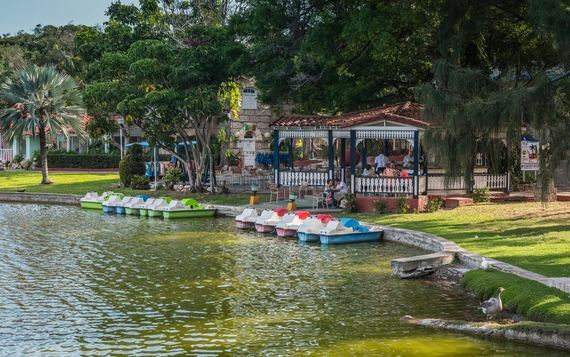 Take the hop on/hop off bus to downtown Varadero and while away a peaceful afternoon strolling around the lake and gardens in Josone Park. Kids love the playground, mini-golf course, paddleboats, and the train that weaves through the park while parents rave about the delicious piña coladas. The park is next to the Beatles Bar--featuring live music outdoors and a photo opp with a band statue--and it's situated on the main strip where you can pick up authentic Cuban fedoras and hand-tooled leather belts.